In 1963, the crash site of a $35 million spy plane was "sanitized" and event covered up. CIA test pilot Ken Collins didn't know exactly where he was when his A-12 spy plane suddenly "didn't feel right," only that he was somewhere west of Salt Lake City. Collins, followed by an Air Force chase plane, had just turned south on May 24, 1963, during a test flight of the twin-engine jet. 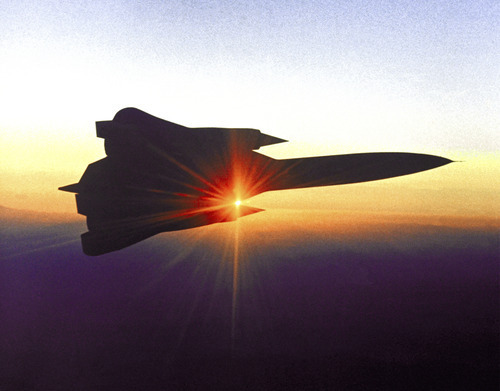 The top-secret A-12 was the most advanced aircraft of its time. In fact, new technologies for engines, composite materials, lubricants and metallurgy were racing to keep up with the plane's goal to evade radar while cruising at higher than 85,000 feet and more than triple the speed of sound. "It was an amazing aircraft, but everything had to work perfectly," recalls Collins, a retired Air Force colonel and veteran of the Korean, Vietnam and Cold wars who lives in Woodland Hills, Calif. "It was a very complex plane, and we had very complex problems. And if something went wrong, it went wrong in a hurry." But this test flight had been uneventful, Collins recalls. Just before noon, he turned south to return to the plane's base at the CIA's top-secret Area 51 north of Las Vegas. At 25,000 to 30,000 feet over the Utah-Nevada border, the A-12 entered clouds, and that's when the pilot lost sight of the chase plane, according to recently declassified documents. 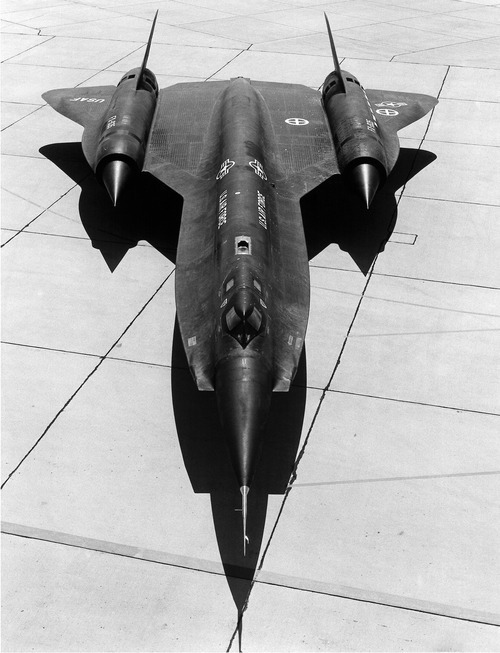 Something had subtly changed in the A-12's handling. "The airplane just didn't feel right," Collins says. The readings on the dozens of dials and readouts in the cockpit looked benign, but something seemed wrong. The experienced test pilot's instincts were right. Investigators later would learn that the heating element on the pitot tube that feeds data to the instruments had failed, and the tube had iced up. What happened in the next few minutes would lead to a cover-up that would ultimately ignite the imagination of an aviation historian before finally becoming the subject of new National Geographic Channel documentary on the mysteries of Area 51. Too busy to be scared • Less than a minute later, the A-12's nose pitched up. Before Collins could regain control, the sleek jet had flipped on its back and started rotating. Despite Collins' effort to control the A-12, it was no longer a flying machine. "I was in a flat spin that was unrecoverable," Collins says. As the A-12 fell upside-down, the clouds hid the horizon and the ground. "I figured I better get out of there before I was too low," he says. The pilot reached down between his knees and pulled the ejection seat's D-ring. The plane's canopy popped off, and he blasted 300 feet downward in the rocket-propelled seat. Up to that point, Collins had been too busy to be scared. But now he was falling through the clouds at the mercy of a parachute. 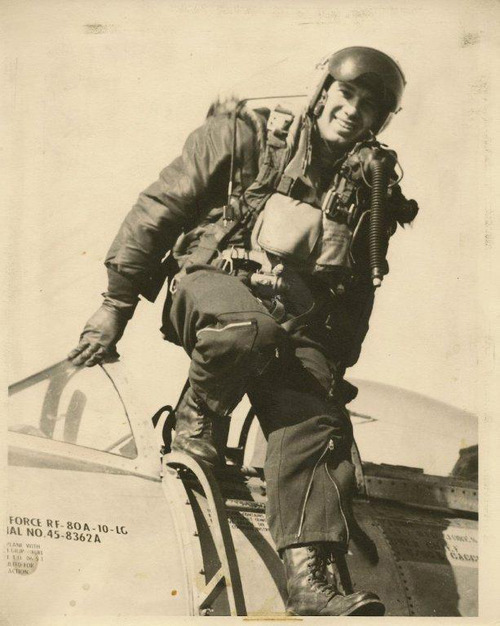 "It was the first time I had ejected or parachuted out of anything," he recalls. "I looked up and saw a parachute. I thought, 'That's a good thing.' "
Then to his shock, the chute broke free, and he plunged downward. "For a few seconds, I thought that was it for me," he recalls. But it was only the high-altitude "drogue" parachute separating to allow the 35-foot-in-diameter main chute to deploy. Swinging from the chute and scanning the terrain below, Collins saw smoke billowing from the A-12's wreckage. "I thought to myself, 'That was a $35 million airplane.' That's what got to me most. I had ejected out of a $35 million airplane that was critical to our program." The X-plane hunter • Forty years later, Pete Merlin, a Lancaster, Calif.-based aerospace historian and writer, was spending his 10th year searching the desert along the Nevada-Utah border for the remains of a still top-secret spy plane. The aircraft had flown out of Area 51, the world's most infamous secret military base, and never returned. The A-12, Merlin says, was meant to supplant the U-2 spy plane that had proven vulnerable to Soviet surface-to-air missiles. The A-12 program and the "Blackbird" aircraft it spawned were so secret that only in the past few years has much information leaked out. That decades-long secrecy just made Merlin and other crash hunters more determined to find the remains of what the Air Force calls "mishaps." "I've always been fascinated by the Lockheed Blackbird aircraft," Merlin says. "They are amazing aircraft, unparalleled in performance, and they are beautiful." 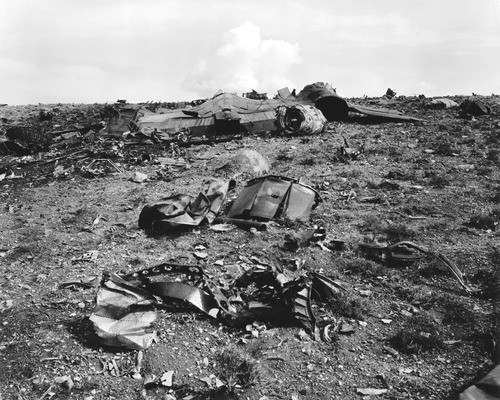 One of the few declassified CIA documents that Merlin had seen reported that the crash site had been "sanitized." The report from a high-ranking CIA official explained: "All traces of 123 had been removed from the crash scene by late afternoon on 25 May." But Merlin, who had tracked down the crashes of other experimental planes, knew that it was impossible to remove all traces of an airplane slamming into earth. When a newly declassified CIA document surfaced in 2003, that narrowed down the crash location to an 8-square-mile area, about 11 miles south of Wendover in Nevada, just west of the Utah line. "There were no pictures or maps or coordinates in the report," Merlin remembers. "I just kept whittling it down by walking the desert." 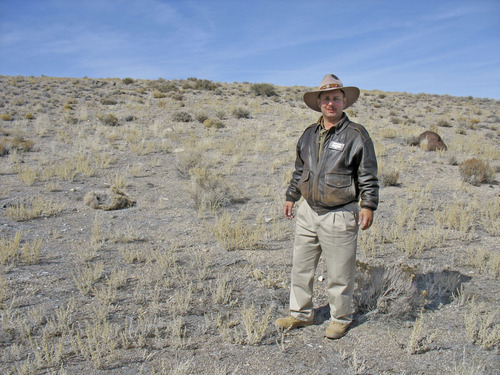 Nuclear cover story •After floating down for what seemed like hours, Collins hit ground and rolled on a sagebrush-covered hillside. As he gathered up his chute, he saw a pickup truck heading toward him from nearby U.S. 93. Three samaritans had the A-12's canopy in the truck's bed and offered to give Collins a ride to the crashed top-secret plane a few miles away. The CIA provided Collins a cover story for just this eventuality. "It's an F-105," he lied. "And it's got a nuclear weapon on board." The startled driver looked at Collins and said, "Get in, if you want to be gone." Collins laughs at the memory. "They weren't interested in seeing my plane anymore. But if it had a nuclear weapon, driving 10 miles away wasn't going to make much difference." They dropped Collins at the state police headquarters in Wendover, and he made a phone call. Within hours, he was flown to an Air Force hospital in Arizona for a physical. In the meantime, heavy equipment from Hill Air Force Base, including a bulldozer, had begun "removing all traces" the crash of the nation's most advanced airplane. Fragments, large and small, were "meticulously" collected, according to the report, and flown back to Area 51. A glint in the desert •As Merlin climbed a rise in October 2003, he saw something shiny. It was a fragment of titanium. He looked around, realizing he was on the edge of the mile-long swath of fragments of the A-12. "The impact crater is still visible  an impression of the aircraft upside-down," he says. Merlin led a National Geographic film team to the crash site, but he declines to share precise coordinates to it, preferring the spot remain undisturbed by souvenir seekers. 'High-powered head shrinker' •When word came from the chase plane that Collins had crashed, a friend in the program called his wife, Jane, who didn't know anything about what her husband was flying or where. "Ken had to eject," the friend told Jane Collins. "But he's fine." "We don't know, we haven't found him yet." "Then how do you know he's fine?" she asked. "Well," the friend said, "I don't know." Soon after Collins had returned to his home in California, a "high-powered head shrinker" from the CIA attempted to hypnotize him to make sure that he hadn't blacked out any important details leading up to the crash. When that failed, another doctor injected him with sodium pentothal, the so-called "truth serum." "What I told them [under the drug] confirmed what I had said in the debriefing." 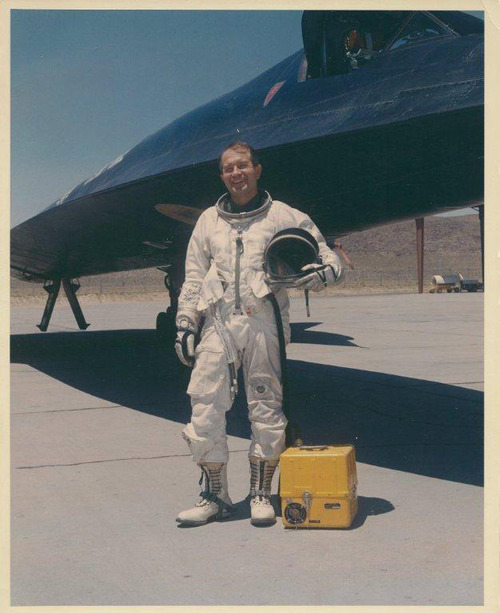 Collins, who last month saw the recently declassified photos of his crash site for the first time, has been given permission to talk about the A-12 and Area 51. He's featured in the National Geographic documentary, "Area 51 Declassified." Despite the persistent rumors, working at Area 51 was about Cold War efforts and advanced man-made aircraft, not UFOs, Collins says. "We were too busy flying to pay any attention to UFO talk." What • A National Geographic documentary, "Area 51 Declassified," is available here: http://channel.nationalgeographic.com/episode/area-51-declassified-4968/Overview. Info • For background on Pete Merlin and the X-Hunters, visit http://www.thexhunters.com/welcome/intro.html. Plus • For more information about Area 51, sometimes referred to as "Dreamland," visit http://www.dreamlandresort.com.